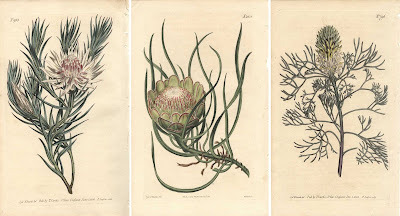 Three botanical illustrations of Protea (aka the Sugarbush) from “Curtis’ Botanical Magazine” (aka "Flower-Garden Displayed: in which the most Ornamental Foreign Plants, cultivated in the Open Ground, the Green-House, and the Stove, are accurately represented in their natural Colours..."). 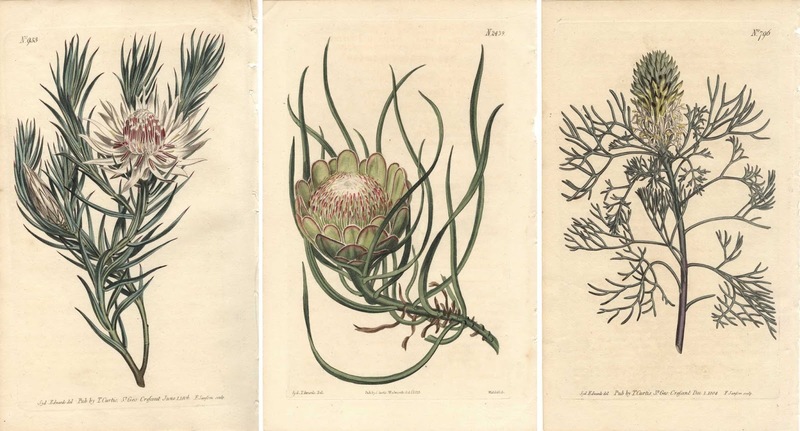 I am selling these three original engravings, hand coloured (as published) from one of the most famous botany publications for AU$88 in total (currently US$64.14/EUR56.72/GBP44.64 at the time of posting these prints) including postage and handling to anywhere in the world. 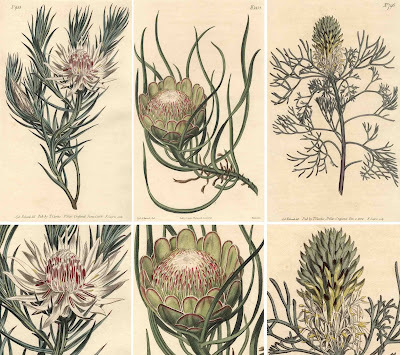 If you are interested in purchasing these small but exceptionally beautiful engraved botanical illustrations, please contact me (oz_jim@printsandprinciples.com) and I will send you a PayPal invoice to make the payment easy. Botanical illustration may be explained as an art form where the illustrator's task is to present plant specimens as objectively as possible and in a way that allows viewers to closely examine them in detail. 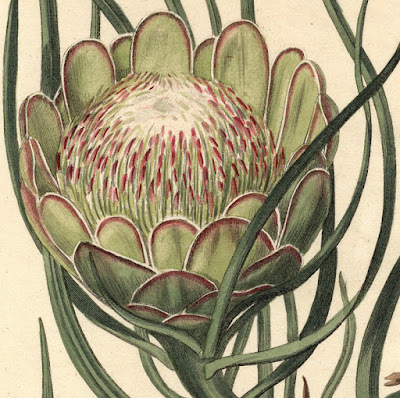 Although I agree with such an explanation, there is far more to the art of botanical illustration than creating clinical clear representations of specimens. 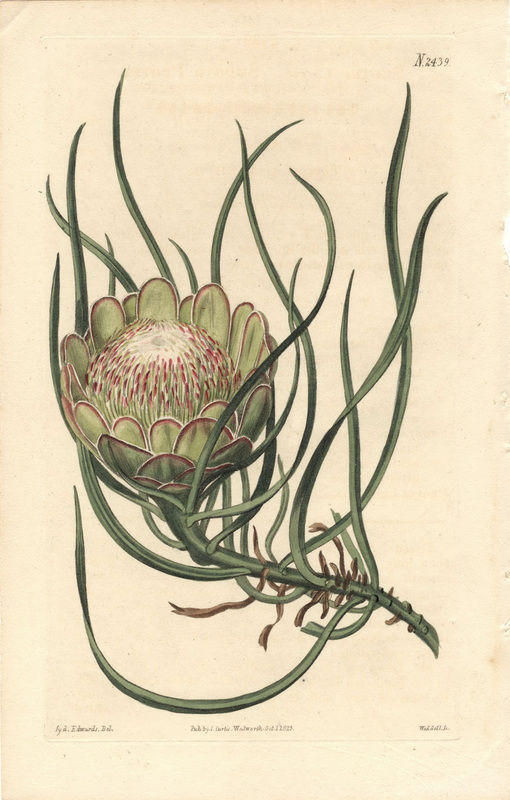 For instance, way back in the 17th century, illustrators like Crispijn van de Passe II (c.1597–c.1670) realised that the context where specimens are likely to be found (e.g. a rocky terrain or a marshland bog) could play an important role in meaningful illustrations. 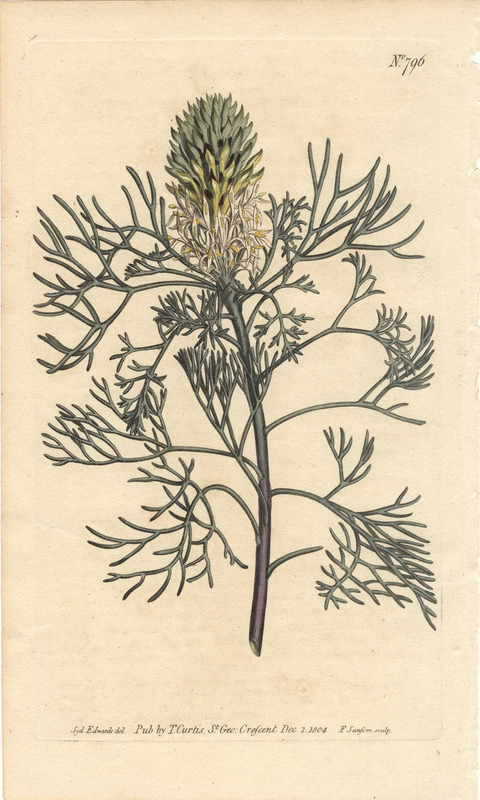 Moreover, the compositional arrangement of specimens became an important consideration. 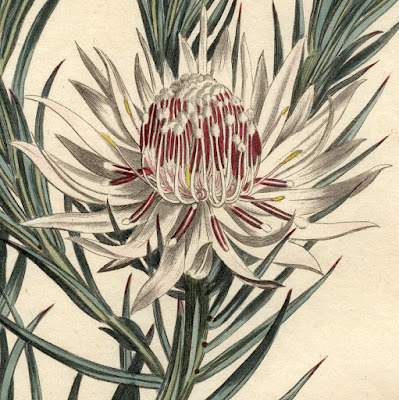 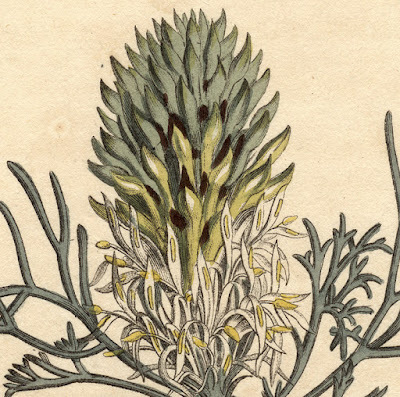 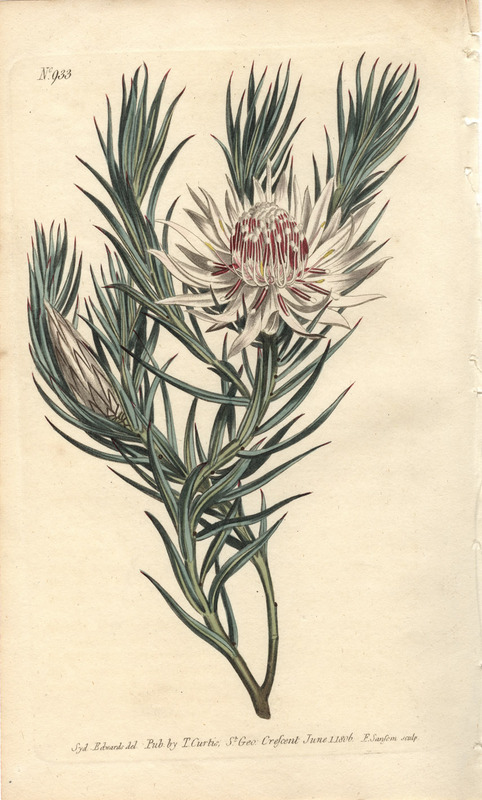 In the case of these illustrations of proteas, for example, the cut specimens are viewed from above at the approximate height of a viewer holding the plant at arm's length. 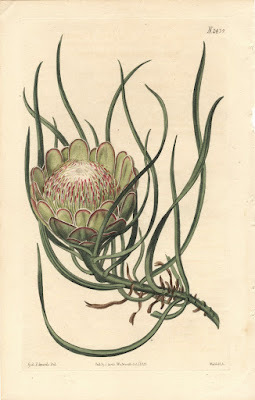 To project a sense of objectivity to the illustrations, the artist, Sydney Edwards, has "floated" the cut plants towards the centre of plate and ensured that all the leaves fit neatly within the picture area (i.e. 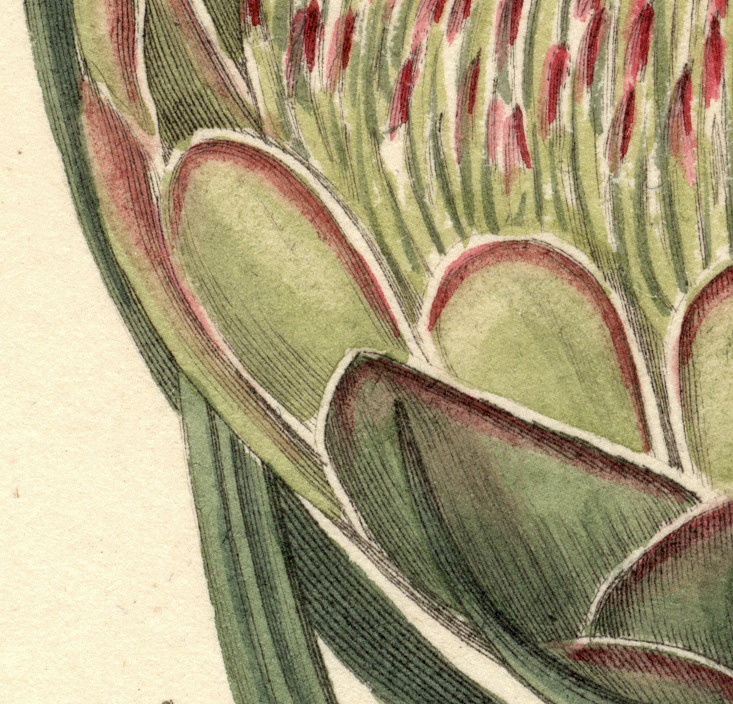 the plate marks). 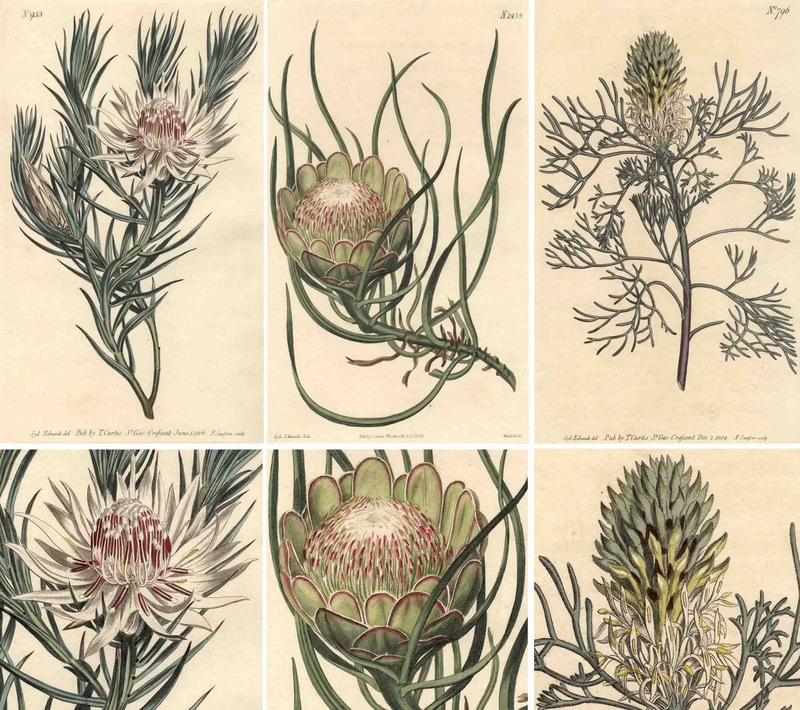 Of special interest to me, Edwards has employed a "V"-shaped analogue structure for many of his compositions—see for example the left print—so that they seem subliminally explosive and full of energy.